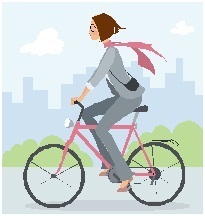 I just came across this article today from the Sacramento Press called Bicyclette: Helping women bicyclists learn bicycle repair and maintenance. A really insightful article and worth heading over there to read. “Bicyclette is an after-hours session hosted by Sacramento Bicycle Kitchen, located at 1915 I St., that is exclusive to women, transgender and female-identified people, according to Andrea Havelaar, 37, outreach coordinator for the shop. Being a woman and new to the world of cycling I have a small fear of being 30 miles away from home and having my tire blow or I will evenadmit my chain falling off. I know these seem like simple fixes but to me they are something I still have not mastered. I have a bike savvy husband and even friends who know tons about bikes but this Bicyclette society at Sacramento Bicycle Kitchen is totally up my ally. Categories: bicycle, commuting, cycling, Events | Tags: Bicycle repair, bicycles, cycling, empowering, Sacramento, women | Permalink.